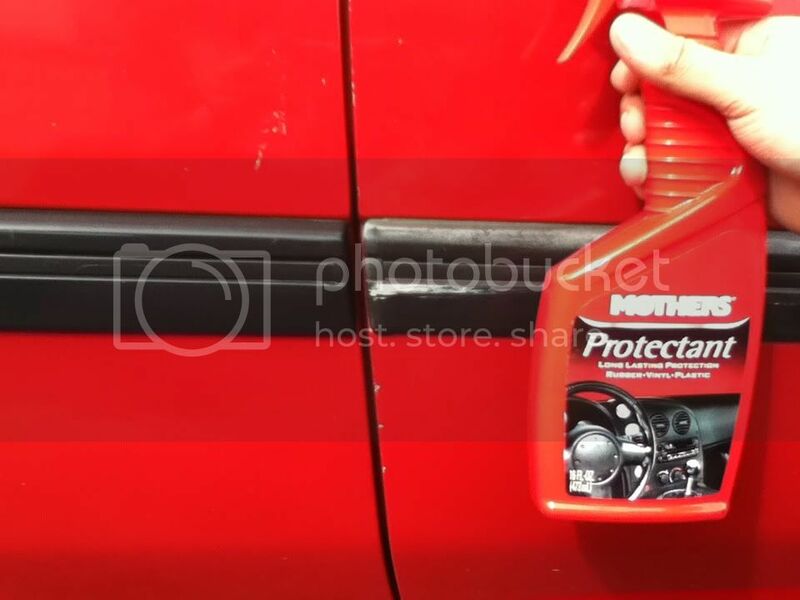 I know that there are dedicated products for restoring the black on these parts, but I discovered that the mothers interior protectant, does a really good job at doing this as well. Not the best picture, but it does the job. It lasts for about 2-3 weeks. Depending on the weather. This one is pretty shiny and will need to be wiped off pretty well, after a few days the shininess evens out. Oh well, whatever it takes to keep our wonderful high quality interior looking good. It isn't too shiny for rubber, just on plastic and vinyl.